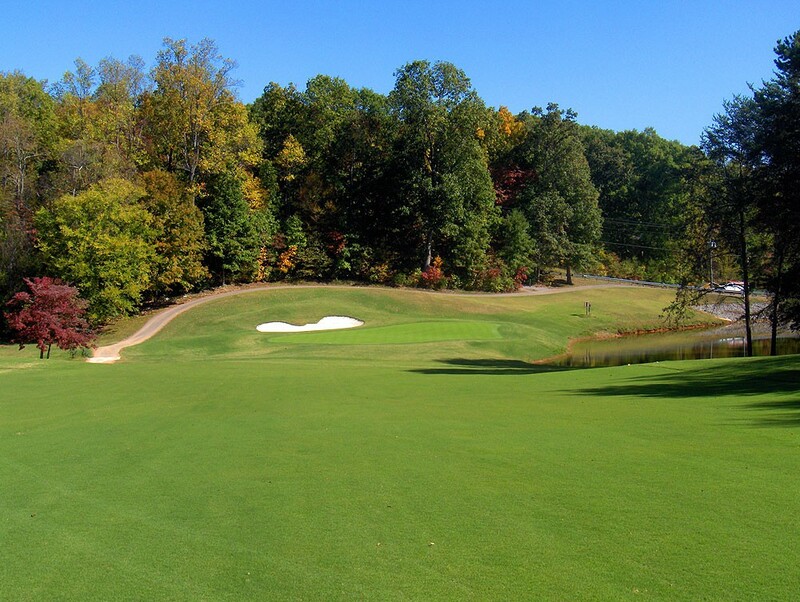 Nestled in the rolling hills alongside Tellico Lake, Toqua Golf Club is a scenic golf course. The impetus behind this renovation was aging putting surfaces that were too steep for today’s maintenance practices and offered very little usable space. Highlights of the renovation included enlarging and rebuilding the greens to USGA specifications (and softening the slopes), enlarging the tee surfaces to accommodate the high volume of play and a new irrigation system. The re-opening was met with praise and I feel the result is a golf course that is much more playable and better suited to the membership at Toqua Golf Club. The greens renovation at Toqua offered an opportunity to spice up a rather ordinary hole by bringing the pond into play. The former green had a tiny bunker in front, a massive bunker in back and had no relationship with the nearby pond. The green was re-designed to allow run-up shots, which better suits the membership, bring the pond into play and present more interesting contours and strategy.